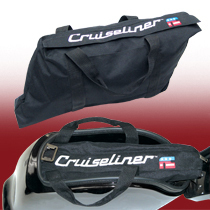 1 Bag #955 (longer bolts) required when fitting P9BR014 Backrest with Cruiseliner Saddlebags. 2 Requires purchase of (2) additional Part Number 51-515776-000 to fit with OEM backrest on LT model. 3 Bag #897 (longer bolts) required when fitting P9BR205 backrest with Cruiseliner Saddlebags. 4 Low exit exhausts must be used with 2001 and later models (VZ800 Marauder). 5 Midnight Star has chromed forks, but otherwise is the same as standard Road Star.